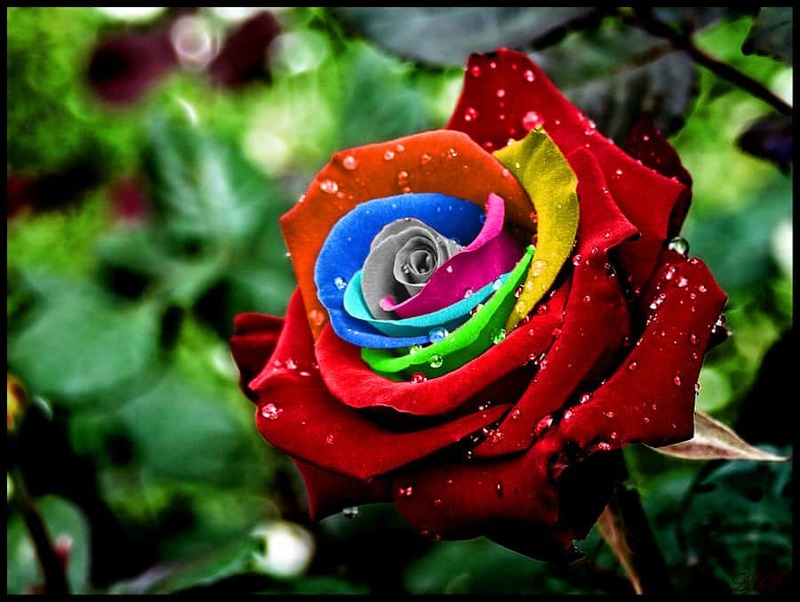 You may be thinking right now that these are photoshopped images of roses. 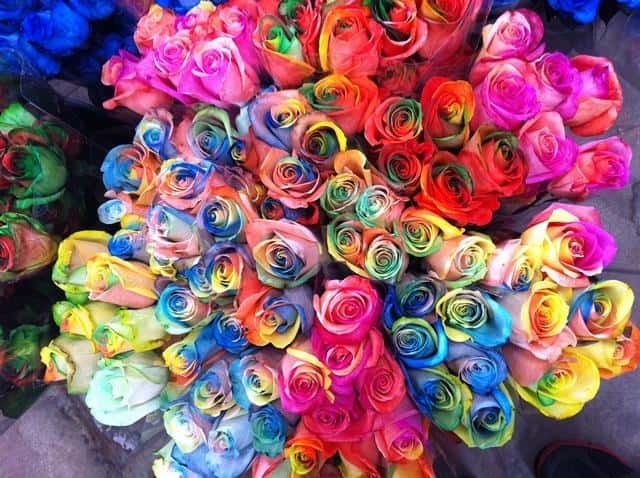 These roses look too amazing to be real but they are in fact real roses. 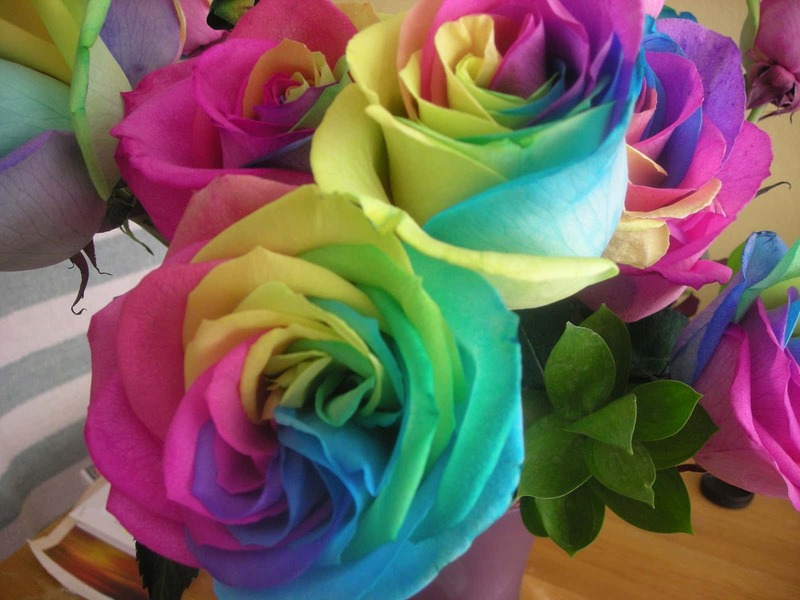 Food dyes have been used to artificially colour the roses in a way that utelises the flowers natural water drawing process. 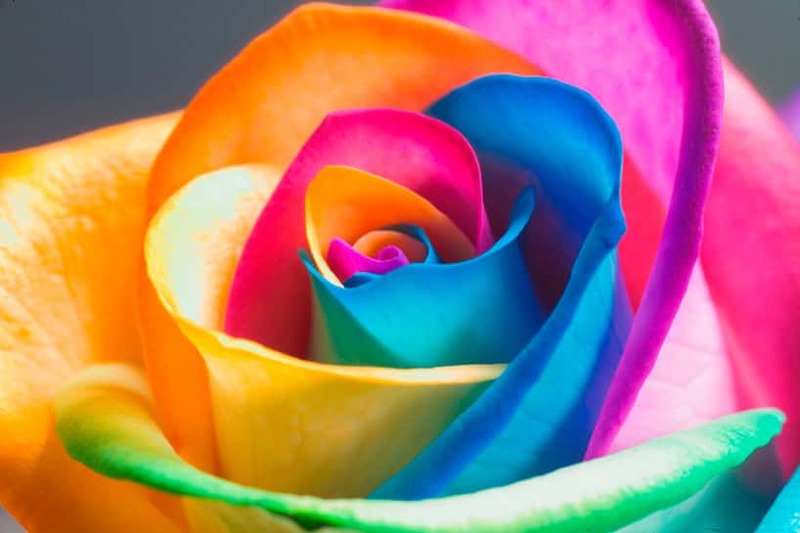 Rainbow roses were first created by a Dutch flower company owner, he developed a technique involving a process of injecting natural pigments into the rose stems during their growth cycle. 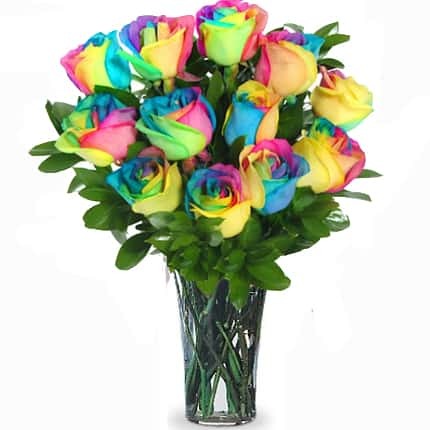 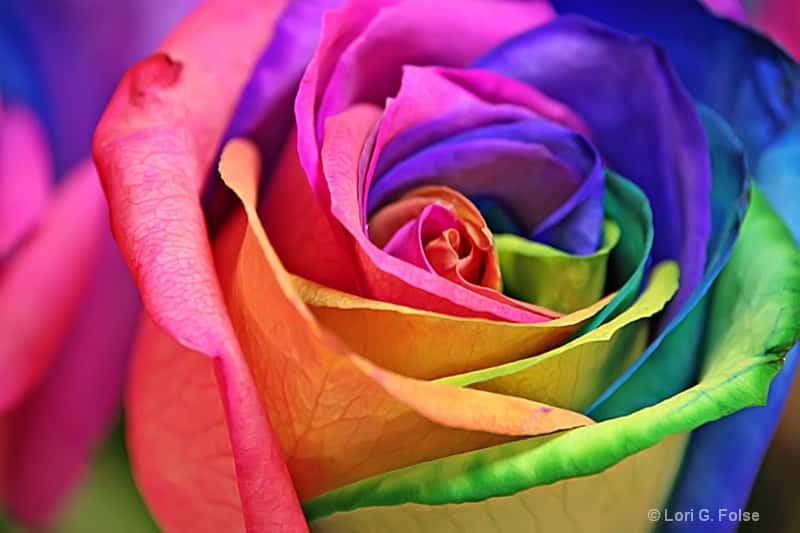 Many people have seen photographs of rainbow roses around on the internet and assumed that they are photoshopped images, they are real and the best part is that anyone can make them.